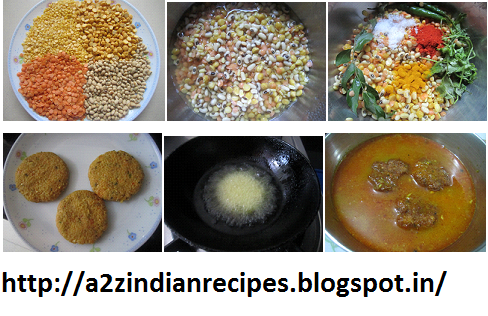 This blog describes the Healthy, Nutritious, Home made mainly Marathi and Konkani recipes. Wash the rice and masoor with water. Drain the water, in fresh water soak rice and masoor for 1/2 hr. Heat the thick bottom non stick sauce pan or pressure cooker (1.5 or 2 lit). Add ghee after it becomes hot add cumin seeds, bay leaves, pepper, cloves, green chilies, ginger garlic paste. Saute for few minutes. 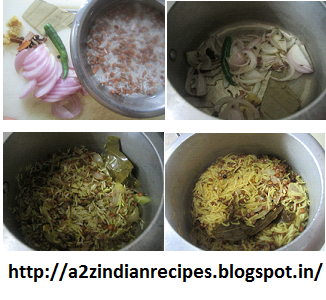 Add rice and masoor, saute for about 3-4 min. Add turmeric powder, saute for about 2-3 min. Then add hot water, stir well. (Then if you are using pressure cooker then whistle for 2 whistles and then immediately release pressure, turn upside down and cover the lid or keep without lid). If using thick bottom pan then cover with the lid keep the high flame for about 4-5 min. You will observe that most of the water is soaked by the rice. Then remove the lid stir rice upside down very carefully otherwise rice will get split. Keep the low flame and cook it for about 7-8 min. Serve with dahi raita. Soak moong daal with cumin seeds for 2 hrs. Drain water and then grind with other ingredients without adding water. Keep it aside. In a mixing bowl, add wheat flour, semolina, and salt. Mix very well. Heat oil in a saucepan, then pour into the mixing bowl over the flour. Probably make a small dig in the flour and add ghee into it. And then pour flour from sides into the ghee. Add 2-3 tbsp or more water and knead the dough. The dough should be not too hard or too soft. Keep dough for 15 min. Then knead the dough. Make small portions of dough of 1 inch. Start rolling it, it should not be too thin or thick, On one of puri should be sesame seeds and on other side apply paste of moong daal mixture. Then deep the puri keeping moong daal mixture on lower side. Deep fry in oil. Take out on tissue paper to remove excess oil. Serve with potato gravy bhaji. You can add moong mixture in wheat flour to make dough without adding water. Then deep fry.